J. Gibson McIlvain has a long, rich history of selling lumber to furniture makers. 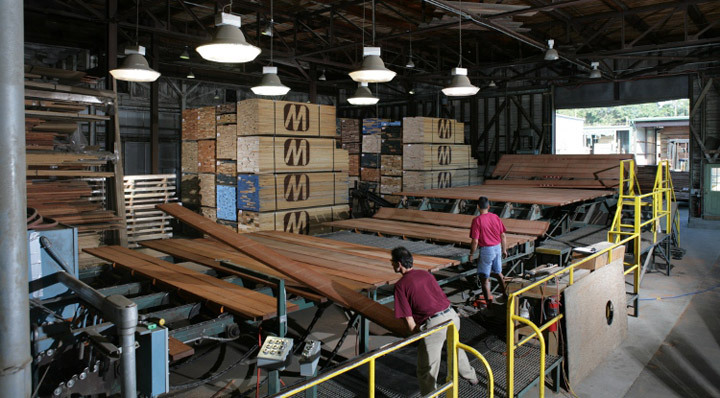 In fact, our relationship with them marks the start of the McIlvain lumber legacy, dating back over 200 years. While we’ve expanded into other markets, some aspects of our business, like our unwavering commitment to quality, have remained the same, making us the ideal lumber supplier to partner with you as a furniture maker, providing you with the lumber you need in order to do what you do. When it comes to furniture, how lumber is sawn makes a big difference. 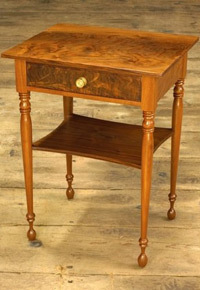 Most furniture makers prefer rift-sawn lumber for table or desk legs, so that the grain moves down the leg. In order to promote proper stability and movement, quartersawn and flat sawn lumber have important places within furniture as well. Here at J. Gibson McIlvain lumber, we carry all the cuts of lumber you could possibly want in order to create the kind of furniture that will look great now and last a long time. 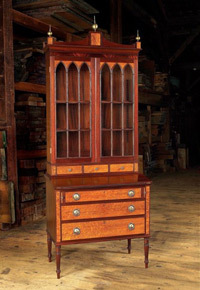 Because appearance is incredibly key, furniture makers often prefer to use a single log or board for an entire piece. Grain and color matching are extremely important for high-end pieces, in order to compose a unified final product. 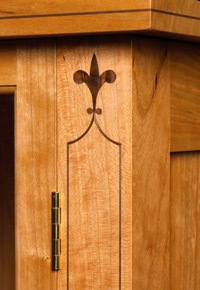 Often, wood with unique grain patterns or character markings is requested from our furniture-making customers as well. Let us know what you’re looking for, and we can keep an eye out for it — or even create a special buying program just for you. Because your furniture designs are limited only by your imagination, you need a lumber supplier with plenty of inventory in a variety of species and sizes. J. Gibson McIlvain carries many species, both exotic and domestic. When you add in the various thicknesses and grain pattern possibilities, we’ll have enough to fuel your creative juices as years and trends come and go. Because the NHLA grading system was originally created with you as a furniture maker in view, the system serves you well. Because J. Gibson McIlvain also serves other industries, you as the furniture maker can benefit. Many of our other customers require above-grade lumber to suit their purposes, essentially allowing us to amass plenty of lumber ideal for furniture-making as a sort of byproduct of their orders. Many flooring and millwork customers, for example, require clear faces that are longer than what’s required by FAS grades, so the lumber we keep in inventory for them is considered above-grade. The smaller boards within each pack might not work for them, but they’d be ideal for your next furniture piece!